You are all invited to celebrate this moment together! You are all invited to celebrate this moment together! It’s less than a month away from LaLaLa Festival 2018, and we can’t be more excited. The International forest festival will be held on Saturday, 10 March 2018 in the perplexing woodland of Orchid Forest Cikole. The beautiful venue, known for its magical natural forest and garden of lights, has been one of the most prominent tourist destinations in Bandung, Indonesia. Aside of the distinctive view, the venue is also equipped with ideal sphere and convenient arrangements to accommodate attendees. 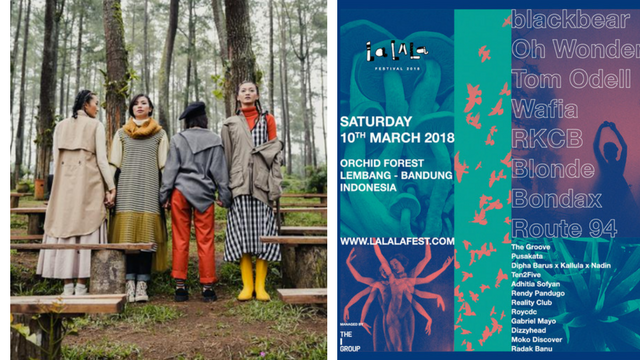 Brought by THE Group, an event promoter based in Bandung, LaLaLa Festival has its own charming way with music enthusiasts all over the country. With only less than a month away to the festival, growing crowds are kept enthralled with surprising secret guest like Route 94. The deep house singer / producer behind hits like My Love and House & Pressure will join the long list of star studded performers such as Oh Wonder, Blackbear, will be doing the only appearance in South East Asia, much to the extra enthusiasm of their loyal fans. We can’t also wait to see the performances by Wafia, Blonde, Bondax, RKCB, and Tom Odell to name a few. The fascinating local acts are also something not to be missed. Crowd’s favorites are making their way into the celebration with their anticipated performances. This year LaLaLa Festival’s local acts will feature Rendhy Pandugo, Adhitia Sofyan, Ten2Five, Reality Club, Pusakata, The Groove, Dipha Barus, Kallula, Nadin, and Roycdc. 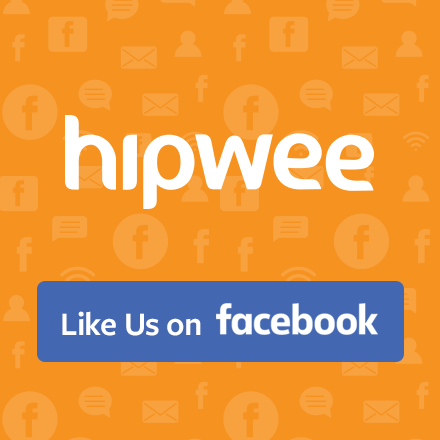 Finally, the diverse music performances are curated thoroughly to bring up a worthy music experience and appreciation of tone, as the aim of the festival has always been. It is not officially a music festival before we get into the band submissions. Being true with the forte, this year LaLaLa Festival also celebrates new talents nationwide thru its band submission competition held last January. Among hundred participants, Gabriel Mayo, Dizzyhead, Moko Discover, and Radak Banu were chosen as the final winners. The lucky four will get a chance to share the stage and showcase themselves along the star-studded performers list. Speaking of extra details, promoter has been fully aware of the anticipated large crowd on the D-Day. Beside we added more parking spots for those who came, We have our special LaLaLa Festival Bus Shuttle. We are ready to make sure that everyone will enjoy the whole festival just right. For only IDR35,000, attendees will have access to pre-purchased scheduled shuttle bus departing and returning to pick up point in Universitas Pendidikan Indonesia, located at Jalan Setiabudhi, Bandung. For those of you who haven’t secured your ticket just yet, you might want to do it fast before all the best deals are gone. There is no fun in coming in small pack, join up with all your friends to admit yourself in the Squad Deals promo, and get 5 regular passes for only IDR 2.725.000 NETT. In addition, tickets can also be purchased offline at KIRI Social Bar, Bandung and HATCHI, Jakarta. What are you waiting for? Presale, regular, and VIP passes are, however, still available on LaLaLa Festival’s official website you can easily access at www.lalalafest.com. For more information and updates, do follow LaLaLa Festival’s social medias in @lalala.fest! Acara The 90’s Festival Akan Segera Hadir! Gini Nih Cara Dapetin Tiket Gratisnya!